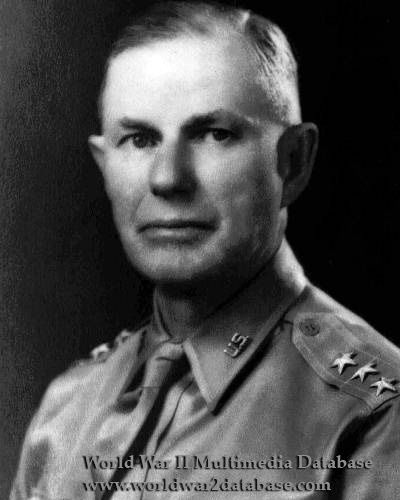 Walter Campbell Short (March 30, 1880–March 9, 1949) was a Lieutenant General in the United States Army and the U.S. military Commander responsible for the defense of U.S. military installations in Hawaii at the time of the Japanese attack on Pearl Harbor on December 7, 1941. On December 17, 1941 General Short was removed from command of Pearl Harbor as a result of the attack. A commission headed by U.S. Supreme Court Associate Justice Owen J. Roberts, known as the Roberts Commission was held immediately following the attack on Pearl Harbor. General Short, along with Navy commander, Admiral Husband E. Kimmel, was accused of being unprepared and charged with “dereliction of duty” and was subsequently relieved of his command and demoted in rank. The primary criticism made against General Short was ordering the Army's fighter aircraft to be parked very close together, thus making it easy for the Japanese to bomb them. This action was taken by General Short in an effort to reduce the chance of sabotage, at the time considered the greater threat. Neither Short or his Navy counterpart, Admiral Husband E. Kimmel, seriously considered the possibility of an attack. Search planes weren't sent out, radar wasn't trusted because it was new, and despite war warnings the peacetime routine was little altered. The critical information gleaned from decryption of Imperial Japanese Navy codes were not delivered in a timely fashion, or sometimes not at all, which would have altered Short and Kimmel's behavior. On top of that, miscommunication between the Army and the Navy did not clearly define responsibility for preventing an air attack between the two services. On May 25, 1999, the United States Senate passed a resolution exonerating Kimmel and Short.